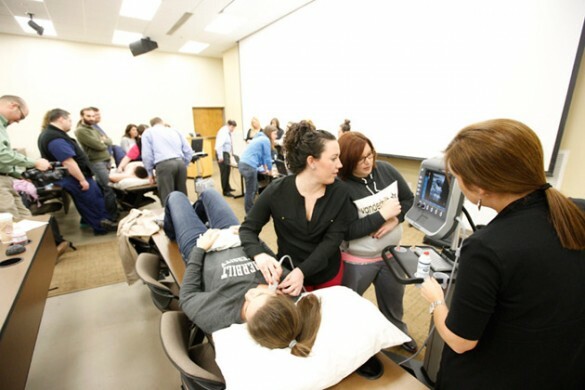 The Vanderbilt University School of Nursing has developed a new post-master’s educational program for family nurse practitioners who work in either emergency care or urgent care settings and desire to become certified as emergency nurse practitioners (ENP-C). The new two-semester program will start fall 2016 for FNP-certified applicants in emergency care. Four courses (two each semester) will provide focused didactic and clinical knowledge to safely care for patients in emergency care settings. The school is offering the post-master certification to help family nurse practitioners prepare for the ENP-C, a new board certification exam by the American Academy of Nurse Practitioners Certification Program (AANP-CP), which will launch in January 2017. In order to take the certification exam, licensed and certified family nurse practitioners must have a minimum of 2,000 direct, emergency care practice hours in the past five years plus either 100 hours of continuing emergency care education, completion of an academic emergency care graduate or postgraduate nurse practitioner program, or completion of an approved emergency fellowship program. The program, she noted, does not meet requirements for AG-ACNP certification. Fall courses will be Pathology and Collaborative Management in Emergency and Critical Care and Trauma, Emergency and Critical Care Clinical I. Spring courses will be Concepts in Emergency Nursing and Trauma, Emergency and Critical Care Clinical II. The program is accepting applications now. For further information, visit the School of Nursing website, or email Jennifer Wilbeck.